Albert Juvanteny is synonymous with the lost marque of Ossa as well as Catalan Trial. Fans of Ossa and trials in general during the 1970's and early 80's era can't fail to have missed this popular rider. His trademark yellow jersey , but more noticeably his deep brown eyes and typical of the time hippy bushy dark brown hair ,thick beard and a stern expression ​stood him apart from the rest. Albert certainly looked like the wild man of trial. The "Grizzly Adam's" of Catalunia. But appearances can be deceptive .Whilst other riders from different continents were throwing televisions out of windows , getting blind drunk , waking up late for their Trial start time , Albert was working hard ,concentrating on the task in hand. Albert has had Trial running through his veins for all of his adult life. I think now he might down play this a little , but it is still there , i can tell. For example Albert was a professionally contracted rider for Ossa for 10 years , from 1974 to 1984 finishing with the iconic company only because of the industrial and economic crisis that was sweeping through Spain's heartlands after the death of the dictator Franco. Albert's life in Trials gives an interesting insight into life at the Ossa factory. 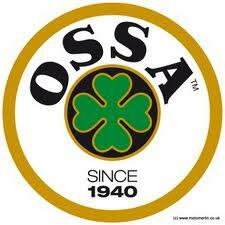 Whilst Mick Andrews has already been interviewed for this website and spoke about the Ossa company , it is fair to say that as a non Catalan speaking English guy ,his knowledge of the Ossa factory and company would fall far short of Albert's. Albert was able to converse freely with the owners and knew them well. In addition to this ,Albert naturally speaking the native toungue, his 10 years with Ossa compared to Mick's 4 also would lead to a greater understanding of the company. After a full career riding professionally for Ossa Albert jumped with eyes closed and wallet open into the world of Trial Motorcycle manufacturing. He provides a detailed account of his experiences with JP and Alfer Trial within this interview . It was not all plain sailing. As usual Retrotrials has travelled to the source of the real story . Rather than reading other journalist's accounts and then forming this article on them , we have researched multiple contacts , corroborated accounts and obtained versions of events from key witnesses. Retrotrials researches with an open mind and records the findings. To carry out this interview Retrotrials had the pleasure to visit a beautiful small stone country village , miles from anywhere in farmlands of Catalunia. 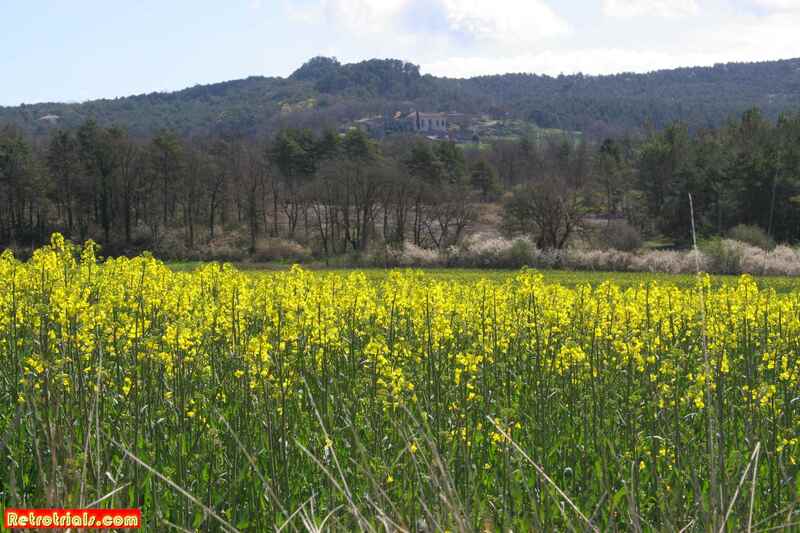 The area was predominently arable and woodland. There was no heavy industry here at all. I went there with my friend Josep who is a Retro Spanish motorcycle expert . He helps me with a good number of these interviews. There isnt much he doesnt know about the Spanish motorcyce industry. Occassionally when i am in a real hole , trying to work out a Spanish bike related thought , Josep has the answer , straight away. On this day in April 2016 Josep and I set off to meet Albert. The day was bright and clear but not warm at all. It was perfect for photos. After about 45 minutes of driving it was clear that we were really heading out into the sticks. How we actually found Albert's house without a sat nav is beyond me. But it happened ...and we arrived. 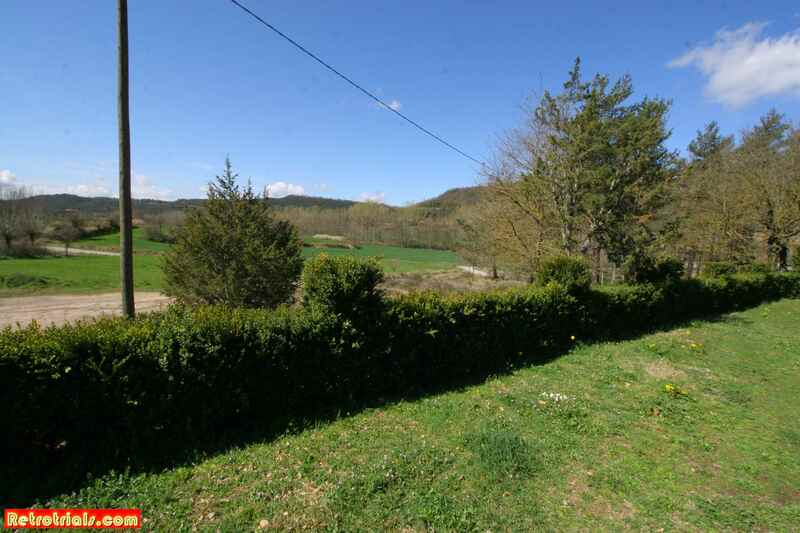 From the country road was a wide sandy dirt track that bordered the grounds of Albert's house on the left. You get to see all the nicest places with retrotrials ;). The setting was absolutely gorgeous . Just look at this view . But where is Albert ?